1. Focus on technology than business and customer. Many organization still believe that investing in latest and greatest technology will be a quick path to Digital. But they forget that technology is just an enabler. Focus on the entire business process, map the customer journeys with pain areas and aim to smoothen the interaction. 2. Digital Transformation can be carried out by existing resources by the way of ad-hoc allocation. 3. Digital Transformation can be driven by line managers. Lack of executives support will show some incremental changes but the digital agenda should be driven by senior-most leaders, even the board of directors & CEOs of the company. Only then it brings the required seriousness. IT & Business alignment has to come from the top. 4. Ignore the learnings of other industry leaders. 5. Ignore digital transformation as just a hype. Today nobody is bothered about if you need to go for Digital Transformation but when and how you are doing it. 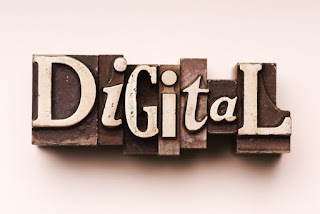 All new programs or initiatives should now take a ‘Digital First’ approach, with the rapid evolution in social media, mobile, big data analytics and cloud. Consumers of all ages are using wide range of digital channels and are increasingly expecting high standards of digitization. If an organization fails in attempt to digitally transform its business, then there will be multiple predators to eat them out. Apple – do you need introduction? Digital Transformation can be achieved only with change of mindset and commitment across the organization. There is very little time now for businesses to capitalize on Digital Transformation opportunity to win and serve their customers, to create new products and services that customers want. Today introducing basic digital capabilities and creating some pilots for customer interaction are days of the past. The challenges of the new digital age make the jumping on Digital Transformation inevitable and subsequently the need of executive like Chief Digital Officer is a no-brainer. The recent times have seen the rise of the Chief Digital Officer, who sits next to CEO and is seen as instrumental to the future of the organization. 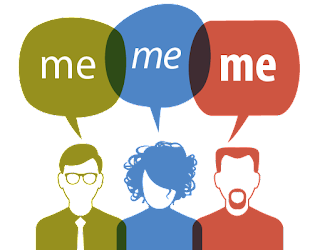 Traditionally, for the past several years digital was looked up as ownership of the marketing function, responsible for driving the organization’s online presence and connecting with customers, but now it is every department that has to contribute to digital enablement of customer journeys. The spike in demand for Chief Digital Officers has been felt globally to drive digital across the organization. Use of all the digital transformation technologies like Social, Mobile, Analytics, Cloud, Internet of Things, API, UX etc. As digital is becoming a norm, every CXO will have to integrate their business and benefit from the CDO’s efforts. 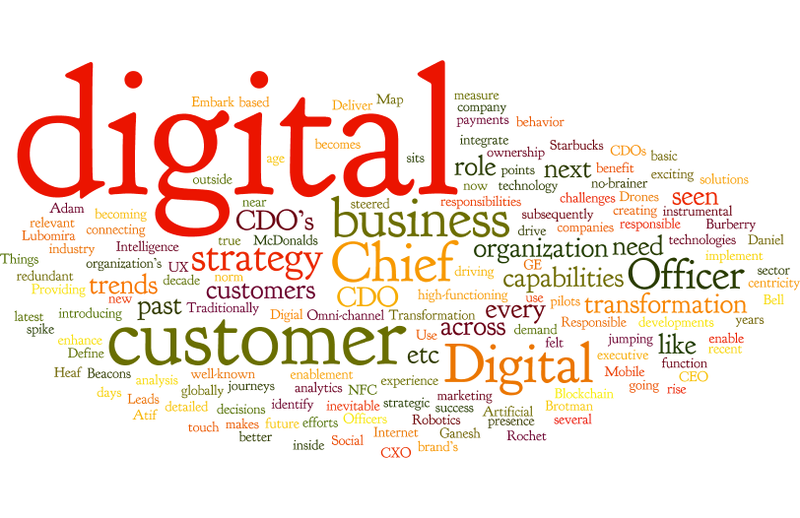 Over the next decade, the Chief Digital Officer will be very exciting and strategic role for going near to customers. 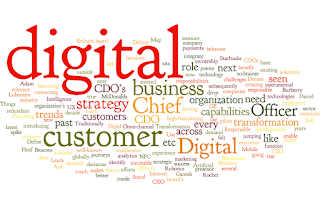 The true measure of a CDO’s success is when the role becomes redundant, as a high-functioning digital company does not need a CDO.